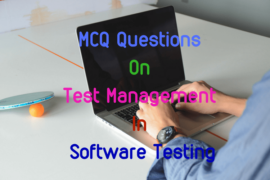 Here are the collections of multiple choice questions on oracle and distributed database which includes MCQ questions on fundamental of database, database objects, database block, data dictionary and the tablespace used on oracle database. 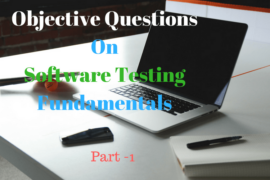 It also includes objective questions from different types and the parts of oracle objects. 1. ………………….. is the collection of memory structures and Oracle background processes that operates against an Oracle database. 2. A ………………………… is a logical grouping of database objects, usually to facilitate security, performance, or the availability of database objects such as tables and indexes. 4. ……………………….. is a contiguous group of blocks allocated for use as part of a table, index, and so forth. 5. ……………… is the smallest unit of allocation in an Oracle database. 6. An Oracle ………………………..is a set of tables and views that are used as a read-only reference about the database. 7. A data dictionary is created when a …………………. created. 8. An Oracle object type has two parts the …………………. and ……………………. 10. A method modifier tells Oracle that new subtypes may not override a method is called …………….